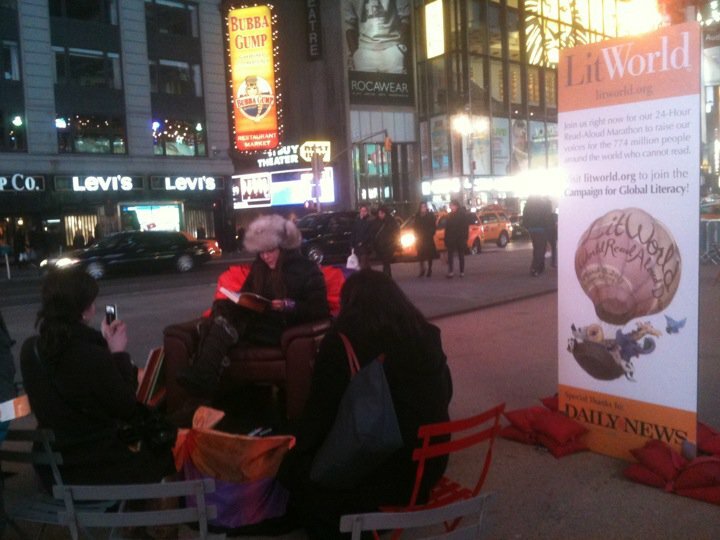 LitWorld's Times Square Read-Aloud Marathon is Underway! Tune into our appearance on Good Morning America at 8:30am EST to get a glimpse of the New York City action, and keep an eye out for more Times Square Marathon coverage to come after our press event at 10:15am EST. Also, for you New Yorkers, don't miss our exclusive poem in the NY Daily News tomorrow, a joyful piece by LitWorld's Poet Laureate Kwame Alexander! Let's keep this incredible day going strong and beautiful all around the world. Newer PostSend in Your Stories, Photos, Videos, and Minutes! Older PostThank you to Rabeaa Alnasser, our WRAD Ambassador in Jordan!